The park could be perfect for your next fishing holiday. Peacefully situated amidst beautiful, unspoilt countryside, the rural village of Llanfan Fawr is home to an old church and Powys' oldest pub, The Red Lion, which serves fine, traditional fare. Set in the slopes of the Llanafan Valley and within easy distance of the equally beautiful Wye Valley, the surrounding countryside is renowned for its walking and mountain biking opportunities, though it also provides an excellent backdrop for fishing and bird-watching along the Wye and Irfon rivers. Builth Wells is also within easy driving distance and this picturesque market town provides a variety of interesting crafts stores and many collectors' fairs. The annual Royal Welsh Show is hosted in the town every July and is a colourful, fascinating fete. The Brecon Beacons National Park and the spectacular Black Mountains are easy to reach from the area, making this an ideal place for people looking to enjoy the outdoor life or simply relax against this stunning backdrop. Cwm Derw Cottage offers the following facilities. Full oil central heating throughout, woodburner in sitting area. Electric cooker, microwave, fridge (no icebox), washing machine, colour TV with basic Freeview, DVD. Fuel, power & starter pack of wood for woodburner inc. in rent. Bed linen & towels inc. in rent. Off road parking for 2 cars. Lockable bike storage. Stabling for horses (to be pre-arranged with owner). Enclosed garden with decked patio area, summer house, ornamental pond, garden furniture & BBQ. Sorry, no pets and no smoking. Shop 3 miles, pub 1 mile. Note: Due to the pond, this property accepts babes in arms only. Note: This property is suitable for a maximum of 3 adults. Llanafan Fawr 1 mile. A delightful, 19th Century, stone and timber clad barn conversion, situated on the owners' 14 acre smallholding, close to the rural village of Llanfan Fawr, 6 miles from Builth Wells. Carefully renovated to provide the perfect blend of original features and modern amenities, this lovely property features a charming, open plan living area with vaulted ceiling, cosy woodburner and delightful French windows leading to an attractive, decked area, perfect for dining al fresco. The owners offer riders on-site stabling facilities, whilst the surrounding countryside provides superb walking, fishing and mountain biking opportunities amongst breathtaking scenery. Visit Powys' oldest pub in Llanfan Fawr, peruse the fascinating craft shops at nearby Builth Wells, or explore the famous Wye and Elan Valleys. The Brecon Beacons National Park, the striking Black Mountains and the lovely coastline of Cardigan Bay are all within easy reach, making this a superb base for a wonderful, relaxing holiday. All ground floor:One double bedroom. Shower room with shower cubicle, basin & WC. Open-plan living area with fitted kitchen, dining area & sitting area (comfy seating for 2) with sofa bed, woodburning stove and French windows to decked patio area. Have you been to Cwm Derw Cottage? Please submit your review so that others can benefit from your experience. Important note: Information provided here about Cwm Derw Cottage is based on our best knowledge. 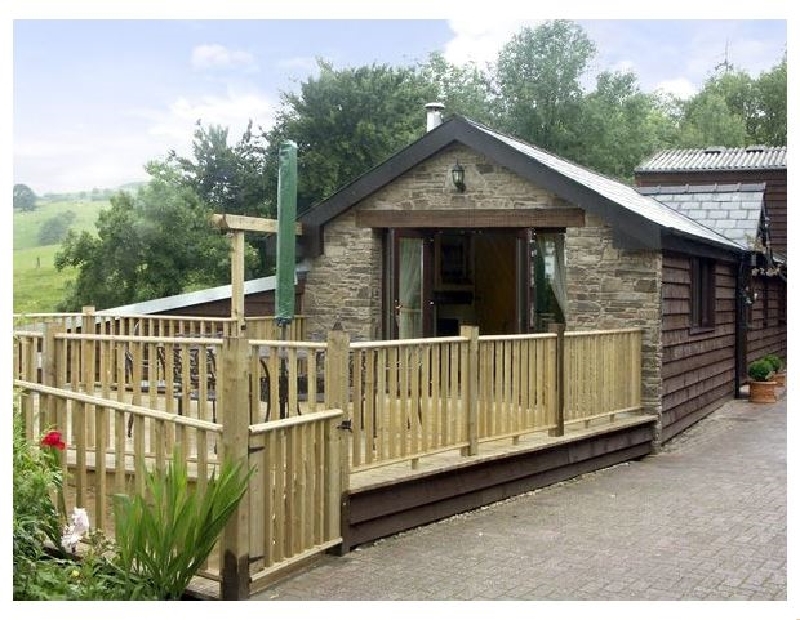 However, please check with Cwm Derw Cottage before booking to ensure that you have the information required. Reviews are the sole views of the contributor and do not necessarily represent the views of CampsitesandCaravanParks.com or Cwm Derw Cottage.